52% OFF! 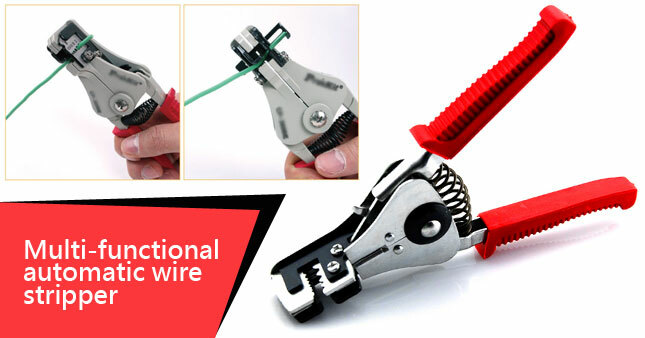 Multi-Functional Automatic Wire Stripper worth Rs. 750 for just Rs. 360! Professional wire stripper with precision blades to strip Teflon, PVC, and silicone wire insulation. The smooth action and precision blades cut the wire insulation only, without nicking or damaging the underlying conductor. It has soft, rounded rubber grips for secure hold. Intended for wire sizes from 0.5mm to 2.2mm. Voucher is valid only for one Multi-Functional Automatic Wire Stripper.